Drakensang Online is an incredible browser-based game that anyone with an internet connection can play. 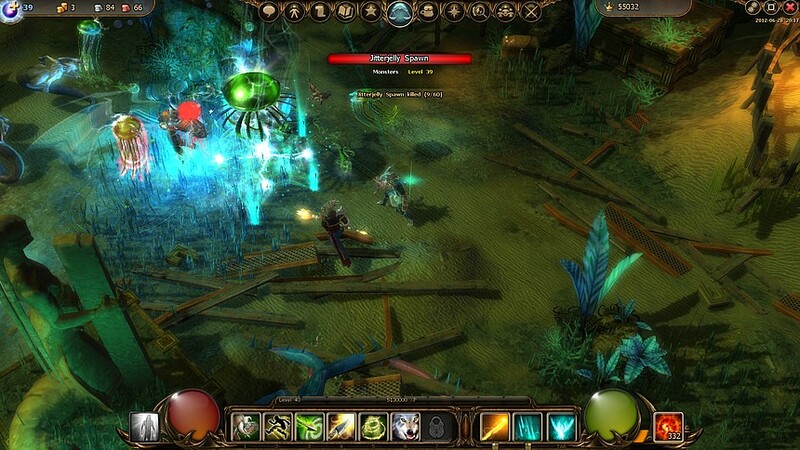 It brings players into a detailed world with fun, fast paced action. 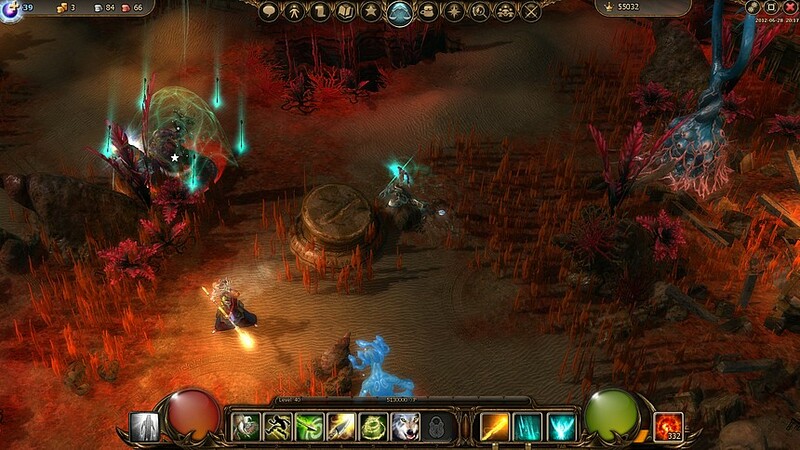 While it does not necessarily bring anything new to the table, it offers addicting gameplay at no cost to the player. That’s why we consider it one of the top free MMORPG games online. Drakensang is set in a world where evil creatures once roamed the land, but were forced into hiding with the rise of humanity. After years of waiting and planning, these creatures have surfaced once again and they have brought an even more dangerous evil with them. They have awakened an ancient and powerful Dragon that threatens the human race, as well as they world around them. Now more than ever, the human race is in dire need of a hero to stand up and fight this darkness. While the story may seem simple, it is actually very interesting and players will find themselves dying to know what happens next. While some browser-based games can be annoying to control, Drakensang Online is a breeze to play. Everything can be controlled with your mouse, so laptop users can easily play this game. To move, players can simply click where they want to go or hold down the mouse button and point it in the direction they would like their hero to move. It cannot get simpler than that. To activate the special abilities, players can either use the 1-6 number keys or simply click the icon on the screen. If they would like to access their inventory, all they have to do is press the “I” key. Veteran players and beginners can easily pick up this game. In fact, the controls help this game become addicting right when players begin their journey. Right when the game begins, it will be time to create a hero. 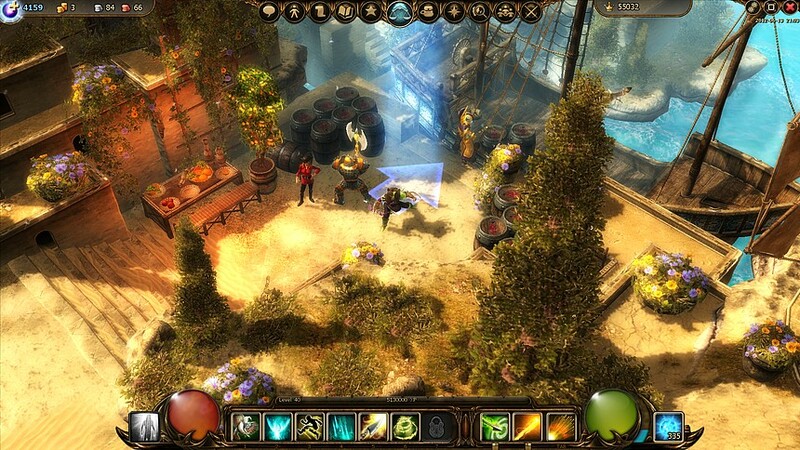 Currently, there are three classes to choose from: Spellweaver, DragonKnight, and Ranger. Each class can be a male or female, the choice is up to the player. There will be more classes coming very soon. Once a class has been chosen, the player can now choose a name and adjust the appearance. There are a few different hair and beard options and the player can also adjust the character’s body type. While it is nothing special, it is actually quite nice. For a browser-based game, you could not ask for more. Still, the options are quite limited. For all of the PVP lovers out there, Drakensang Online has an arena built specifically for it. Once players reach Kingshill, they can enter the arena and show off their skills. This is a great way to take a break from the constant grinding and simply have fun by competing against other players. It is a very simple PVP scene, but at least it has the option to do so. It does not really have an impact on the main story. The arena is mainly for honor and bragging rights. To some players, this can be a major downside. 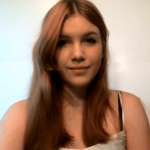 For players that only play MMOs for the PVP, Drakensang Online may not be the right choice of game. Still, for players that enjoy the occasional PVP duel or simply love a simple PVP system, Drakensang Online’s arena is the perfect choice. 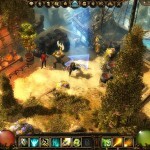 Drakensang Online has a large amount of dungeons that can be completed solo or, in many cases, require a team to enter. 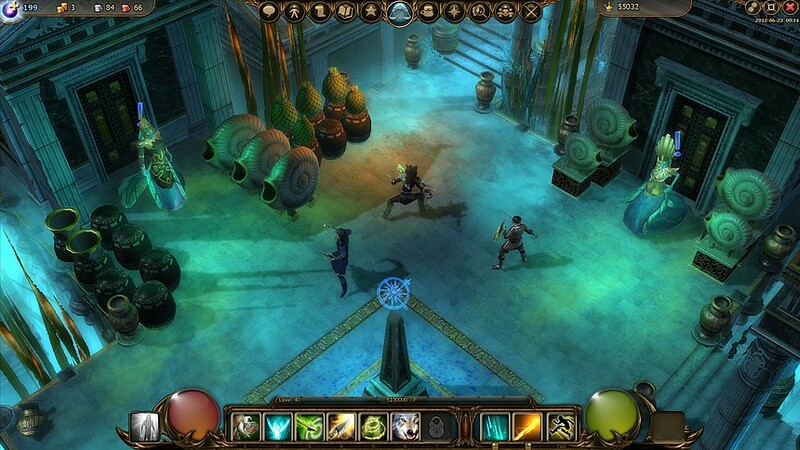 Before entering a specific dungeon, the difficulty can be set to normal or to a higher difficulty. This way, players can have as much, or as little, of a challenge as they’d like. 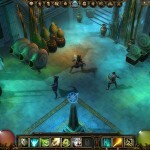 The Dungeons are typically filled with high level beasts and high level rewards. This adds some depth to the game and these activities can be quite challenging at times. If the player wants to advance, they must defeat the bosses and creatures that lie within the depths. Currently there are ten regions, each filled with different quests and activities. This is a massive free to play game and there is more coming soon. The quests are typically pretty simple, slay this monster and pick up this item, but they do change up often. 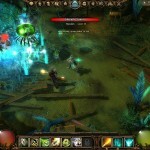 The quests are also exciting because of the large numbers of creatures the player must face at one time. While going through the forest, 15 goblins can come chasing after the player. It really makes traveling more exciting. Each region has a different style and this is a great way to keep the game fresh for a very long time. Players will find themselves guessing as to what the next region will look like. While the quests can get repetitive, they are still enjoyable and there are so many of them. Drakensang Online has an incredible amount of content for a free to play browser-based MMO. All in all, Drakensang Online is an exceptional game. Its main strengths are its amazing array of quests, regions, and activities for players to keep themselves busy. It has a little bit of something for everyone. This is most likely one of the best browser-based MMORPG games out there today. For any players that are fans of great free games that are not computer intensive, this is an amazing option. This is probably the biggest cash cow of all so called free to play games on the web today. I think it is about time we ditch the free to play tag. It really confuses what free to play means. Sure it is free to sign up and go on to the game itself. But that is where free to play ends. Especially in this example. I actually pay as and when I see fit. This game is for the elite only. You cannot survive as a non paying player. Not just pvp that will always be the rich man domain. Just simple pve. The grunts,mobs are all so OP its almost laughable. Even on the events. I had full legendary gear with the highest gems you can make. I never even go outside the gate before I was sliced to bits in seconds. Awards are probably the worse I have come across in over 100 of these type of games. Kill a boss and get an item of gear a normal mob would drop. In fact the only + in the game is , normal mobs drop legendary gear. Albeit rarely but it does happen. They have items they call Unique’s which you would think means something special, a one off. True these are 1 off but they are garbage. Gold is the in game currency 100 silver = 1 gold 100 copper = 1 silver. Oh what joy it is to kill mobs and receive 5 copper. Or even open a treasure chest and get 20 copper. As you can see its a grind fest. Why do we have to suffer this 1 sided affair with game franchises??? They charge whatever they like and the player gets nothing. But sadly whilst the fool is parted from his cash nothing will change. I agree with you on the graphics. for a browser game which tbh you forget it is one. They are first class. Sadly the fighting aspect is not as finely honed. Escape the mobs and 20 seconds later your dragged back in to the middle of them or your dying as you run with no enemy to be seen.